ICC Sydney parent company in Los Angeles, AEG, has signed an agreement to merge with SMG to create a standalone global facility management and venue services company. The new company will operate as ASM Global and both Onex and AEG’s subsidiary will each own 50 per cent of the company following the completion of the transaction. The terms of the transaction were not disclosed. ASM will be headquartered in Los Angeles, CA, with key operations based in West Conshohocken, PA, a suburb of Philadelphia. Led by the most experienced team in the industry, the company will operate a diversified portfolio of arenas, stadiums, convention centers and performing arts centers, with more than 310 venues across five continents. Bob Newman, current President of AEG Facilities and formerly a Regional Vice President at SMG, said, “It is an honor and privilege to be a part of this exciting new company, which brings together the two organizations where I have worked for the bulk of my professional career. This transaction draws upon the depth of our combined talent and resources to create an organization that will deliver value and long-term success, as well as innovative services to our clients around the world.” Following the completion of the transaction, Newman will be named President and CEO of ASM. AEG will retain ownership of its real estate holdings outside of this venture, including its entertainment districts and owned venues in Los Angeles, London, Hamburg and Berlin, as well as its extensive development, sports, music and sponsorship divisions. Onex is contributing its entire equity investment in SMG into the merger. The transaction is expected to be completed later this year subject to customary closing conditions and regulatory approvals. 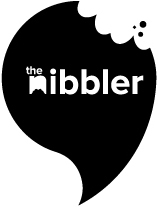 ICC Sydney boss flaunted the venue’s “leadership in action” mindset at AIME, while team Nibbler flaunted its scavenger mindset at the event’s luncheons. For the very first big interview of 2019, we grabbed ICC Sydney CEO Geoff Donaghy for a stroll around Sydney. Just kidding – we emailed him from an air-conditioned room. Open since earlier this month, the stunning new venue features a unique design that incorporates both traditional and contemporary elements. Yes, we have pictures.